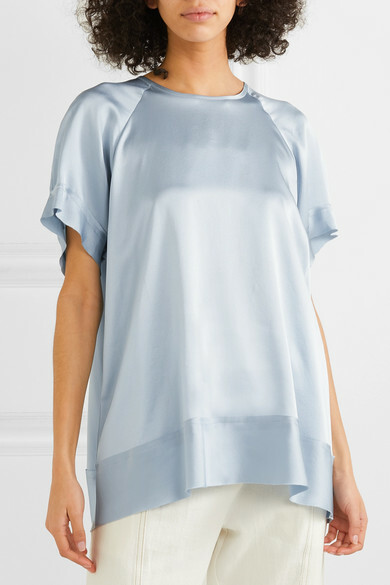 Lee Mathews' take on the humble T-shirt is so sleek and sophisticated. 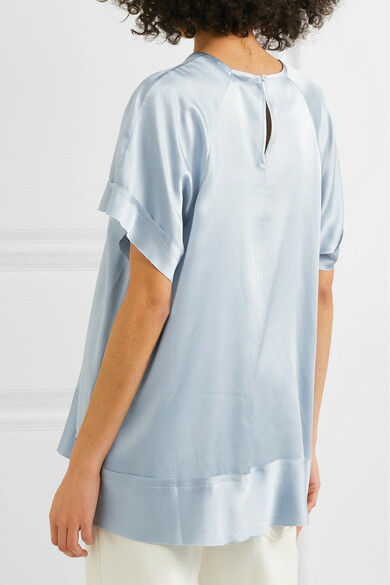 This 'Rose' style is cut for a loose fit from fluid silk-satin and fastens at the back with a lustrous pearlescent button. 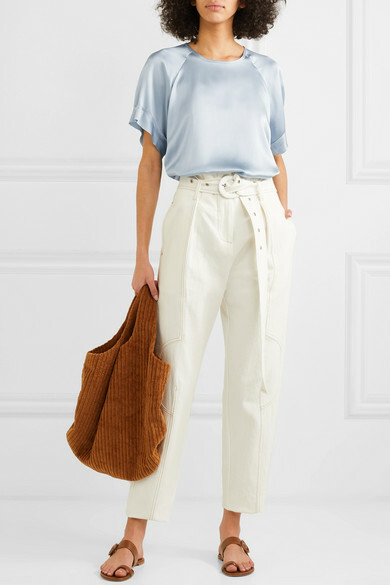 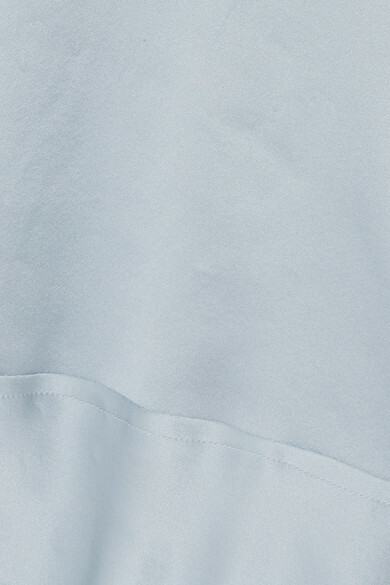 The powder-blue hue will look so fresh and summery with white jeans.